Athenaeum at California Institute of Technology in Pasadena is one of the most beautiful and sought after wedding venues in Southern California. The Mediterranean-style architecture, history, and beautiful grounds make for a romantic backdrop for weddings. 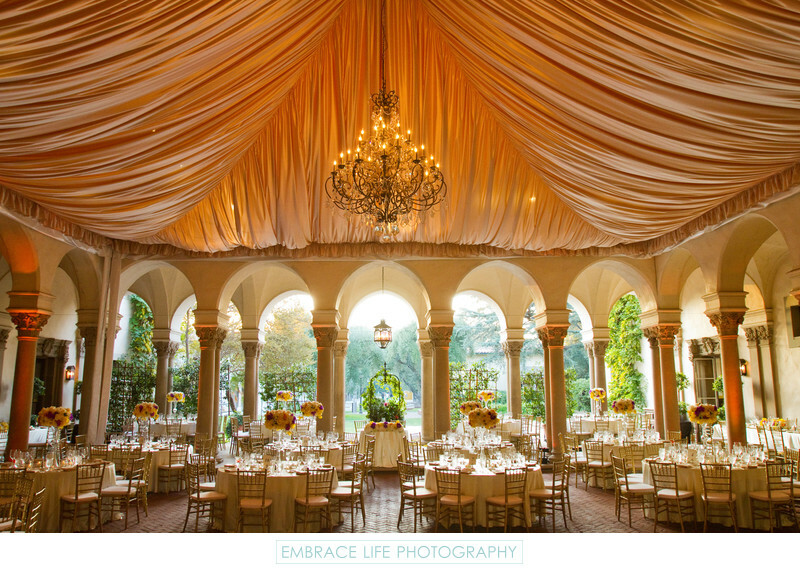 The dining room with it's many pillars and arches is draped in soft cream colored fabric creating a very elegant indoor wedding reception.